The Sanctuary has two main rules: Crossing the boundary is punishable by death, and intimate relationships between humans and angels are forbidden. The Sanctuary is the only place protected from the covet curse, and life there is all Senna KNOWS. 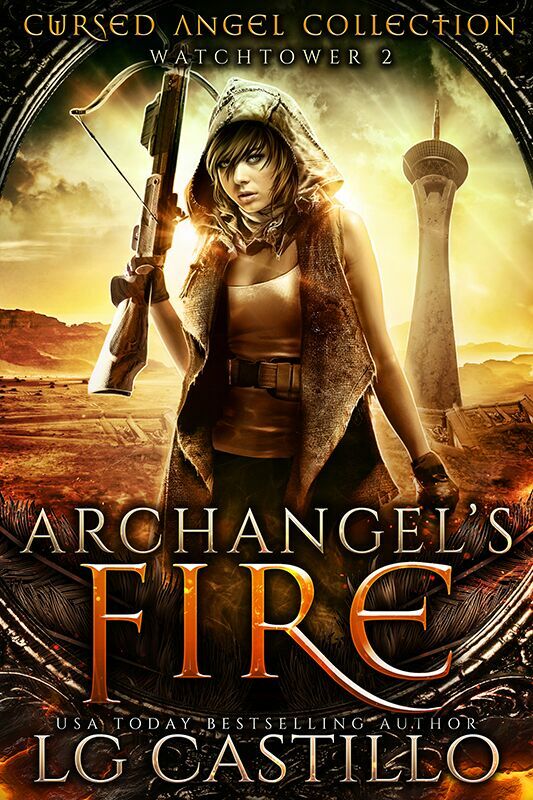 But when a mysterious light outside of the boundary compels Senna to cross and investigate, and she meets the stunning Archangel Cade, she soon finds herself on the path of breaking all the rules. The price if she gets caught? Her life. Cade warns her that the spell protecting the Sanctuary is breaking and that the key to fixing it is an ancient book hidden in the wastelands. So she sets off with him to find the book, determined to do whatever it takes to save her home. But along their journey, Senna learns that Cade’s true motive could place the Sanctuary in danger. The choice is hers. Save the Sanctuary, or give into what she covets the most—him.